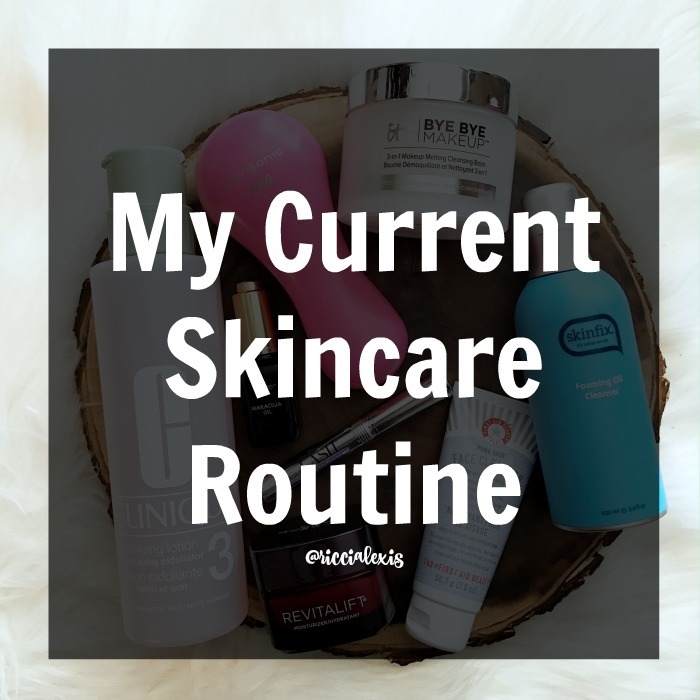 I feel like lately when it comes to skincare I have talked about a lot of individual products individually but I haven’t actually talked about my current skincare routine as a whole. 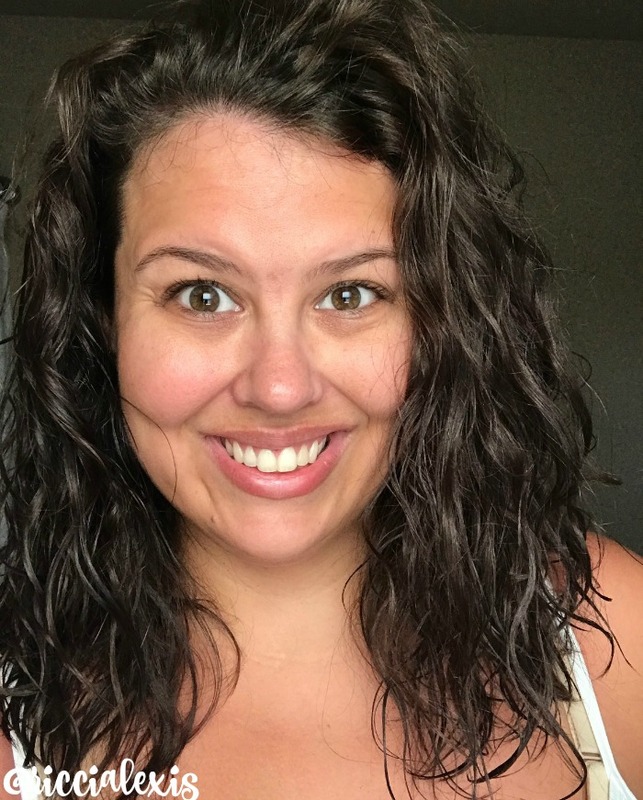 I mean, maybe I’ve talked about it before but since its summer and my skin is a lot drier that normal I have added a few new products to the mix and so I decided to just share my whole AM and PM routine with you! It’s not that bad, I promise!! First things first let’s talk about skin type! My skin is normally pretty boring…I have combination skin where my T-Zone is a little bit more oiler than the rest of my face but other than that it’s actually pretty normal, not too dry and not overly oily even during the summer months. I tan pretty easily and right now my face still has some color from my beach trip last month and from going to Magic Springs and playing in the sun all day, not that I’m too mad about that! When I am outside or planning on going to the pool or lake I don’t wear makeup at all and instead slather my face with zinc oxide. I love zinc oxide because it’s waterproof and lasts all day long! I usually don’t even reapply it and since I started using it a few years ago my face hasn’t burned yet, just gotten some nice color! So back to my skincare routine! I decided to break this post up into two parts, AM and PM because I use different products for both. AM is a little shorter so let’s start there! I am a shower in the morning kind of girl so part of my shower routine is to wash my face with a good exfoliant that is gentle enough for daily use. Out of the many I’ve tried this one is my favorite. It gets the job done and isnt’ too harsh…and it smells good!! When I am done with my shower and my face has air dried I use my ride-or-die Clinique toner. I have literally used some version of this toner since I was 13 years old. I’m of the “if it’s not broke don’t fix it” school of life. Ya feel me? Next up, when my face is dry again, I use this serum all over my face and neck. It is a weightless serum that lifts, firms, fills in fine lines, and more in as little as 10 days plus it has a nice citrus scent! I like that it is light on my skin because if you have read this blog for any amount of time then you have heard me say that I do NOT like anything to feel “heavy” on my face. Lastly I use this gel moisturizer in this particular formula because it is super hydrating and reminds me of a more expensive brand I have used in the past at a fraction of the price. After I use my moisturizer I let my face “dry” and then put my makeup on as usual. You may notice that none of these products contains any SPF but I make up for that in my actual makeup! I also let my face “dry” in between products because too many products at once is a little overwhelming and your’e not giving it time to soak in and do it’s job! That’s my thought anyway. Now on to night time!! My night time routine is a little more complicated but only because I firmly believe that good skin starts at night time. While you are sleeping many different t processes are occurring in your body but one of the main ones is cellular repair. Your body is repairing cells while you sleep, including your skin cells and especially the ones on your face. One way you can help this process speed up is to give your skin what it needs while you sleep. Through some trial and error I have found that these are the products that work best for me right now!! First things first when I get home from work I go straight to my bathroom to wash my face. I start with this cleansing balm and really work it into my eyelashes, brows and area surrounding my eyes. Yes, I could use it all over my face but this stuff is AMAZE at getting off even the toughest mascara and is gentle enough to use around that super thin skin eye are without causing damage. After I have gotten off as much eye makeup as I can I use this cleanser to wash the rest of my face. I love that it is a foaming oil and it leaves my skin super clean but also super soft. I usually follow this up with a round of my Clarisonic and this face wash. This ensures that I get every last bit of makeup, oil and dirt off my face. Plus it makes my face feel super smooth!! I know, I know someone is out there saying this crazy girl washes her face three times?? I get it, I do but really the first “wash” gets the super stubborn eye makeup off, the second gets my face makeup off and the third wash actually cleans my face. There is always a method to the madness, I promise! Next I triple check that all residue is off my face by using my ride-or-die toner and then I let my face air dry for a minute while I get ready to get messy. And by messy I mean I put a couple of drops of this facial oil only fingers and slather it all over my face. My face is usually super dry and just soaks this stuff up!! I finish everything off with this moisturizer. This particular moisturizer is kind of heavy but I don’t mind going heavier at night, my poor skin needs it!! After all that is done I apply this to my lashes and then I call it a night. That is a lot of work but so worth it!! After all, you only have one face and you have to take care of it!! Do your AM and PM skincare routines differ?? What is your one ride-or-die skincare product?? These are great products! If you want beautiful skin, you have to use products that work, and these do. In fact, they’re all in my bathroom right now! These are some great products. I really need to start taking a skincare routine more seriously! I don’t even do an AM one. 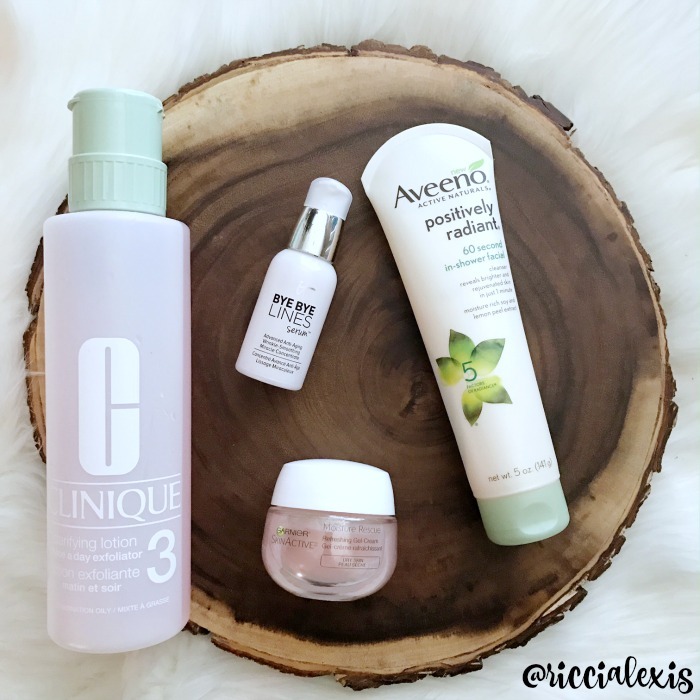 I am a big fan of both Aveeno and Clinique products. My mom has been using Clinique for forever, as well. I curently use rose water and it works miracles for my sensitive skin. I love seeing what other people use because I’m a skin care nut! I think Clinique does some of the most tried and true products :) I’m a super sensitive, dry with some combo in my t-zone so I have to be super careful about the products I use lol. I really need to work on my PM skincare routine. 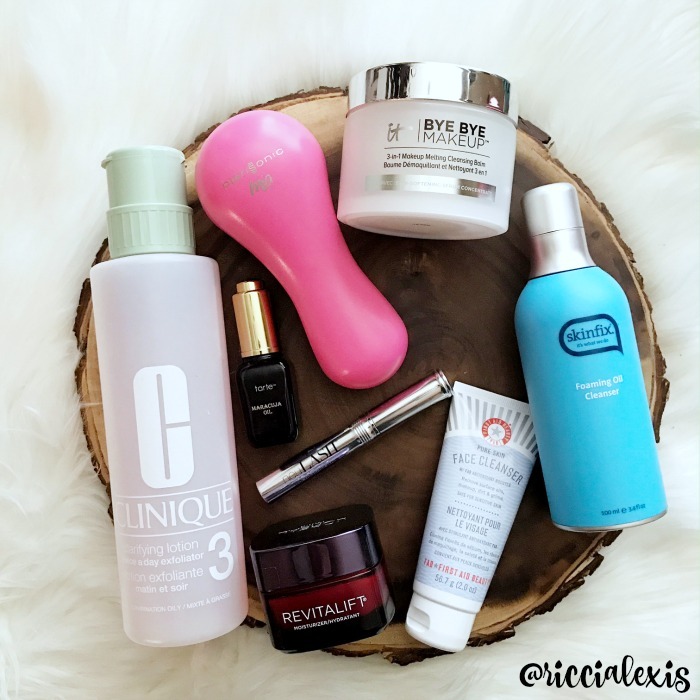 I will definitely be adding some of these products to my new routine! There are quite a few people who don’t know the order of application for their skincare products. Sounds like you’ve got it down pat! It’s always consistency, I think that makes any product work at its best. Wow!! I’m envious of your skin care routine. I always try to do one, but get too busy to stay consistent! Aveeno is a product I trust and love! It is so delicate on your skin! Whatever you are doing is working for you! You look great! I like seeing what other people use because I love trying out new products. These are also some of my favorite brands. I haven’t used any of these products. I really need to change up my skincare routine, so I’ll have to check these out. Wow! I totally love your skin care routine, I would love to try these products that you were used. I can’t wait to check out a few of these myself. I am super curious about the Aveeno 60 second facial. A good routine is always important especially if you have sensitive skin. I think it’s awesome that you shared the products that you use daily as well. I love learning about how a product works for women. I am so amazed at women like you who have the discipline to stick to such an extensive beauty regimen. I have never been able to. But your skin is beautiful and it is obvious that yours has paid off. I can’t use sunscreen on my face lately. Every time that I put it on, it burns my face. I need to look around the house and see if I still have some zinc oxide. I know it works well to protect against sunburn. I apply moisturizer after cleaning my face with facial cleanser – that’s all I do in the AM and PM. I want to try using the Clarisonic though. Heard it works great! Love this skin care routine! I used to keep up with a tedious one but had to simplify since I am now preggy. Thank you for sharing! My current routine consists of water and whatever soap is in reach. Thanks for the tips, because I need to do something! Loving all of these new beauty products. Im into facial oils now for my beauty routine so I would definitely add this to my beauty arsenal.